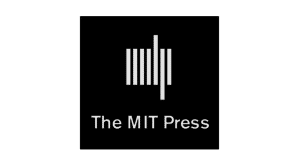 by Audrey Powers — The goal of this series of papers is to provide an overview of current eBook platforms and to speculate on where they might be headed in the future. by Trey Shelton, Tara Cataldo, and Amy Buhler — Gives an overview of multiple eBook platforms from the perspective of a large academic library. by John Novak — For the purposes of this article, the definition of an eBook lending platform is one that contains eBooks from multiple publishers that patrons may browse and checkout. by Deborah Lenares — Most large publishers now have their own proprietary platforms, and also license their books through multiple aggregators. by Cris Ferguson — For the purposes of this analysis, a commercial eBook publisher is defined as a publisher whose eBook platform contains primarily its own content. by Mark Johnson — In this article, Mark examines several of the leading university press eBook platforms, including “the big three” – Johns Hopkins’ Project MUSE, Oxford’s University Press Scholarship Online (UPSO), and JSTOR – as well as BiblioVault, Cambridge Books Online, ebrary, and the eDuke Books Scholarly Collection. Getting to No: Calling for an End to Contention by James Bunnell, Jill Emery, Michael Levine-Clark, Emily McElroy, Anne McKee, and Mary Page — This editorial is about the first keynote during the 33rd Charleston Conference. Reviews of Reference Titles by Tom Gilson — In this issue Tom reviews Culture Wars in America: an Encyclopedia of Issues, Viewpoints, and Voices; The 50 States; From Suffrage to the Senate: America’s Political Women an Encyclopedia of Leaders, Causes & Issues, and much more. Monographic Musings by Deb Vaughn — This month, explore street lit RA. by James N. R. Walser — A Book Review of Mr. Penumbra’s 24-Hour Book Store by Robin Sloan. Copyright Column by Laura Gasaway — Lolly answers questions about sound recordings, student-created manuals, and oral histories. The PROSE Awards by Myer Kutz — The PROSE Awards are given by the AAP and Myer has many insights. Business Models and Funding Models for Open Access eBooks: We Have Only Just Left the Starting Line by David Parker — David asserts the need for an as yet undiscovered revenue-generating business model for open access eBook publishing. PDA, eBooks, Print Books Usage and Expenditures: Knowledge Ecosystem Remix by Antje Mays — A look at print and eBook usage at Winthrop University. Despite the novelty and convenience of eBooks, demand for print books remains high. Reports of Meetings — This month Ramune Kubilius has covered the 2013 CAMA Medical History Symposium for us. by Bruce Strauch — What do grave robbers and soccer hooligans have in common? Read about it here! Prelude to Thoughts on Sustainability by Scott Alan Smith — An update on happenings at Langlois public library and the need for sustainability. Bellow and “The Dean’s December” by Donna Jacobs — Many are those who have lost their lives in libraries. MOOCs Some Thoughts from Library Experience by Allen McKiel and Jim Dooley — Jim and Allen draw some interesting patterns between the development of MOOCs and e-journals. We Have Met the Enemy, And He Is Us by Mark Y. Herring — Mark thinks we should be more open-minded for our survival as a profession. Selecting Books on the Side by Glenda Alvin — Glenda says all you need are a few trusted places that you can turn to for quality reviews. Are There “Hidden Collections” in Special Collection Libraries? by Allison Day — A new column in which Allison will be addressing hidden collections. Milton Studies and Surprised by Sin by Cecile M. Jagodzinski — Books we need to keep in our collections. Usage Statistics at the Point of Need: Developing a Collaborative Electronic Usage Statistics Program by Anita K. Foster — This article describes the process developed and still in use at Illinois State University’s Milner Library. Data for Collection Assessment at a More Granular Level: ICON As An Example by Amy Wood — As a community, we must develop best practices for curating collective collections. Collaboration is King in Cartozia by Jerry Spiller — A new column focusing on the intersection of libraries and newer digital narrative forms. This month it’s Cartozia Tales. Sociocultural Hobby Sites: Acquisition and Decoration of Dollhouses and Miniature Displays as a Fun Educational Tool by Lesley Montgomery — Acquiring and creating miniature displays can be a learning tool, teaching collectors much about our current culture and the history of past decades.